With parents willing to spend on the education of their wards, the sector is getting increasingly commercialised. The biggest ‘harvest’ is taking place perennially with new admissions happening in autumn (October-November) when a new generation moves to kindergarten in formal schools. Some of them have already spent one to two years in crutches, preparatory schools and the Anganwadi Centres. “This is the key season when most of the bulk funds come to the private education sector,” an insider said. “It all depends on how you package the facility that you own.” It has started with thousands, and then moved to tens of thousands and now it is already in lakhs, at least in a few cases. And people are paying. Irshad Ahmad is admitted his son in the G D Goenka School Srinagar. He paid Rs 1.5 lakh rupees as the admission fee for the nursery class of his son. In the first year, he will be spending around Rs 75,000, at Rs 6000 per month as the tuition and bus fee. To provide his son good quality education, Irshad withdrew some money from his GP Fund to admit his dearest son in the private school. After all, it is the future of his son. But the tragedy is that Irshad is himself a school teacher in a state run school. Firdous Ahmad is a banker. His daughter got an admission in Delhi Public School, Srinagar. The cost: Rs 1.10 lakh as admission fee and Rs 4000 for monthly tuitions. The funny part of the exercise is that people are not complaining over the hefty amounts, they are being asked to deposit for the good education of their wards. They have no tensions with fee structure either. The parents, some of them pushed to temporary bankruptcy by the ‘dream education’, says the procedure of the private schools have gone “very difficult”! Ask Firdous, for instance. He had to make a serious effort in understanding the importance of the “interview” to his for year old. School managers rarely admit they “interview” the kids. A general belief is that they basically see whether the “right” parent has emerged their client or not. When Firdous and his daughter reached the school early morning to appear for the “interview” by the school management, they both were nervous. Right from leaving from home, Firdous made her learn some dos and don’ts: how to talk, how to sit and how not to react… The idea of getting rejected was the real fear factor for father-daughter. Ideally, the system of education should open arms for the newcomers because this is the first step that is formal in their lives. Tragically, this starts with an “interview”, sort of an examination. Some pre-primary centres are packing their capacity that the kids enrolled with them will essentially make it to the “best schools”. This is education sector’s new normal. All schools follow the same procedure. Presentation Covent School charges Rs 68000 as admission fee for the new entrants in nursery class. Its sister concern seeks an upfront Rs 88,000 after the kids manages his passage in the gruelling process. Almost all privately run schools have this practice now. The demand is top-down. The so called “best schools” are in huge demand and once they fill their seats, the B-category is the priority and then the remaining getting disbursed in all other schools. The apparently C-category schools are usually catering to the low economic groups. But the trend that started from Srinagar has impacted the rest of Kashmir. Now there are A and B category private schools in town as well. But how huge is the sector sucking in the admission season. It is slightly difficult but not impossible. Even officials find it difficult to offer an idea. In the last few years, the policy intervention helped certain schools change at two levels: first, some schools added a nursery class, and second, some schools, mostly under community pressure started teaching English at basic primary level. This, they did to off-set the onslaught by the private sector that had led to the closure of some of the government schools. 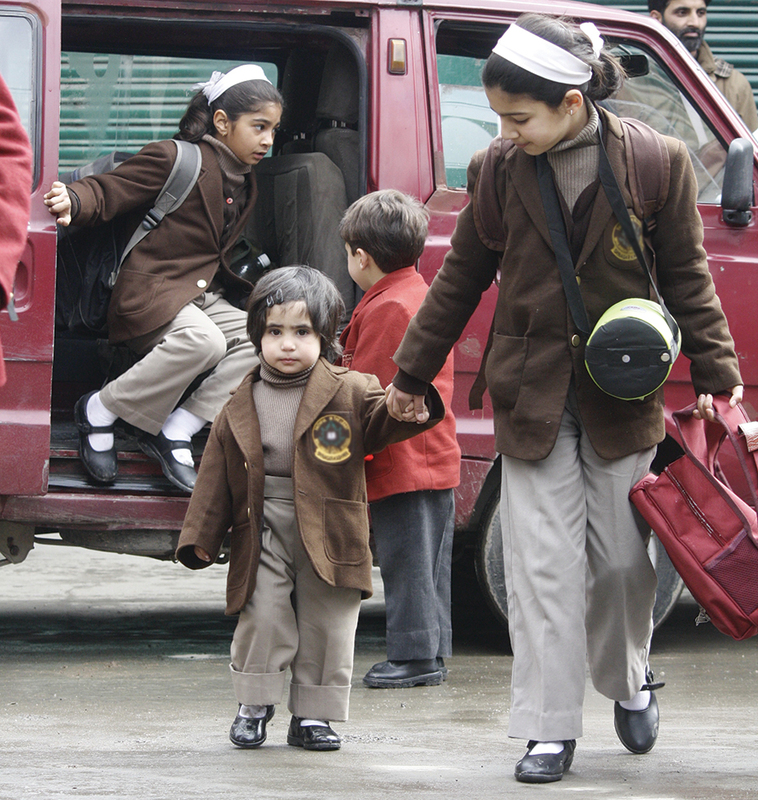 Kashmir has 2610 private schools which are quite a few if compared to 11766 schools that government owns and runs. The overall enrolment in private schools is 589734 which is more than half of 933025 students enrolled in government schools. The officer said that across state 59.4 percent of the new entrants chose the state government run schools, in Kashmir only 57.6 percent were enrolled in the government schools. That means private sector got 65720 candidates in class first. But private sector opens at nursery level. If every parent spends Rs 50,000 for admission of his ward in a year, how much makes for the 80,000 students? A whopping Rs 400 crore. Insiders in the sector said, it can well go up to Rs 600 crore, if hidden costs, and other “funds” are to be accounted for. But that is not the only money the private sector stakes, every autumn. For new admissions, they supply books, stationary, and uniform. Unlike government schools, entire private sector has winter and summer uniforms and in most of the cases, two sets are “suggested”, if not “recommended”. Recently Pulwama’s Dolphin International School started “providing” 17 books for nursery kids. All these books, part of curriculum, had essentially to be purchased from the school stationary shop. It cost whopping Rs 5000, a candidate. Parents were not unhappy over the costs because “You Know, English Schools are different!” It was eventually, the weight of the 17 books, which triggered some concern among parents. Reports suggest the school management was ‘gracious’ in reducing the number, eventually! 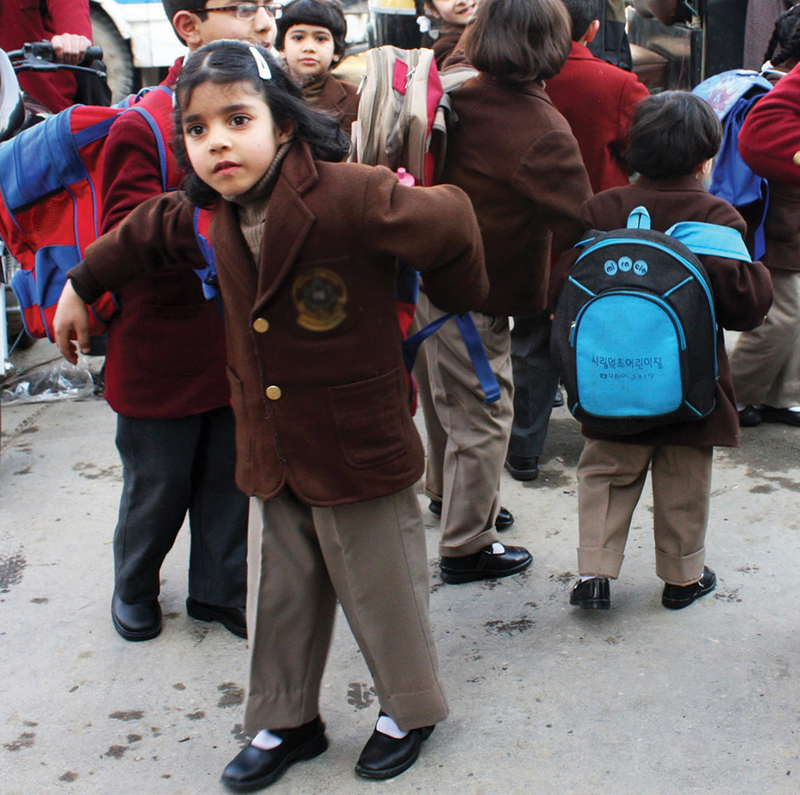 Last year a survey conducted by the department of social and preventive medicine of state run Medical College revealed that in Kashmir schools, 83.7 percent of children carry bags are heavier than 10 percent of body weight. Children, under law, should have school carry bags weighing lesser than ten percent of their body-weight. While a Fee Fixation Committee (FFC) is in place on the orders of the High Court (interestingly, not in Jammu), it is yet to make an impact. Even if it does, who will regulate the other profit-making processes from books to uniform? If parents pay so much for their education, why is private tuition still a requirement?